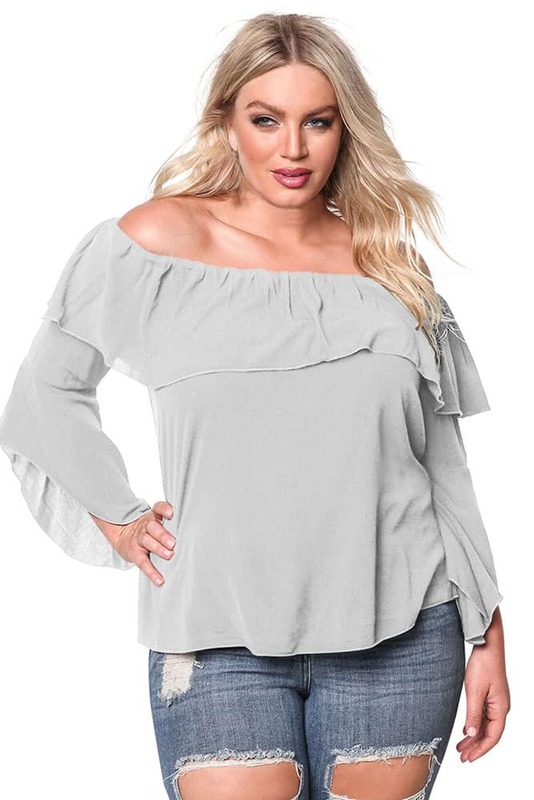 Chic and fab! 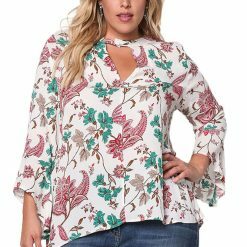 A must have blouse in a gauze bodice solid all throughout. 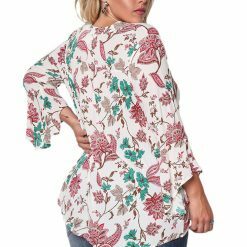 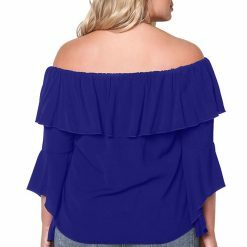 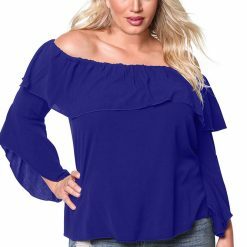 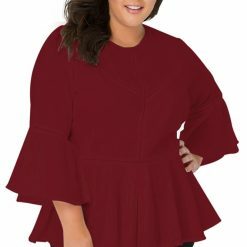 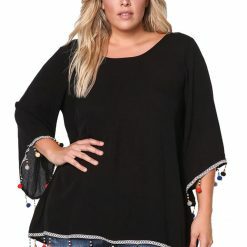 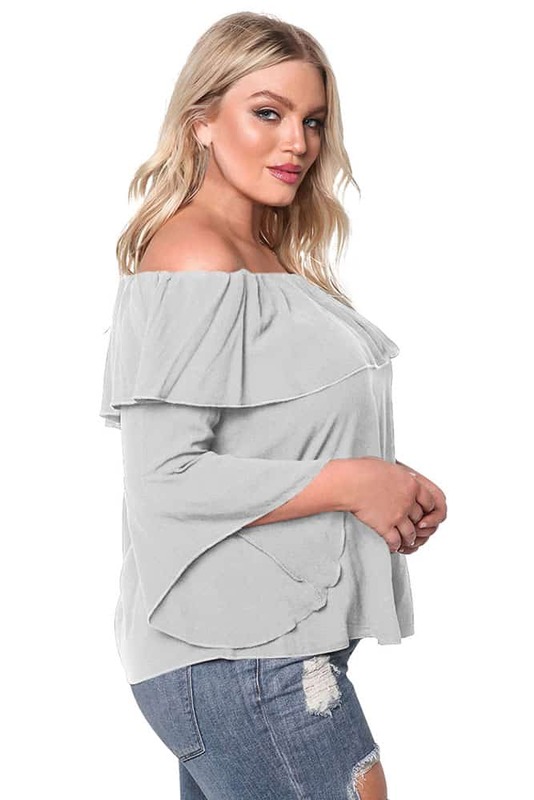 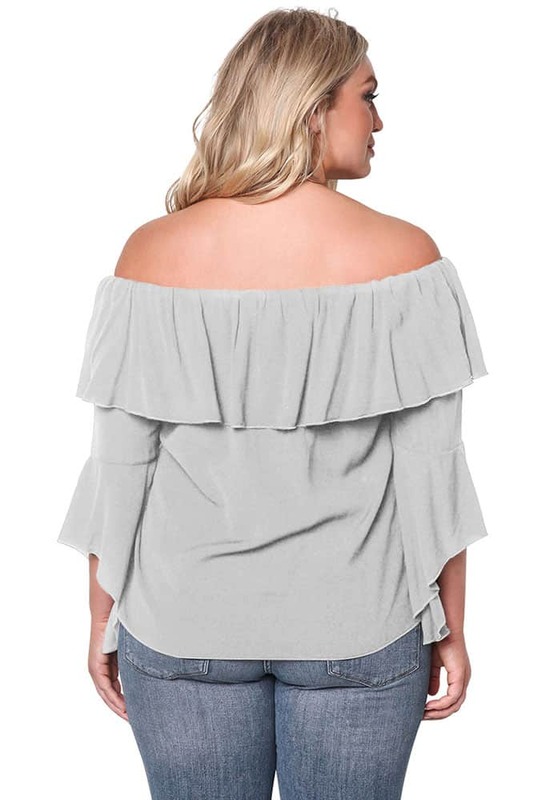 Features an elastic off shoulder top with a short ruffle layer. 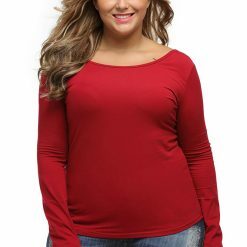 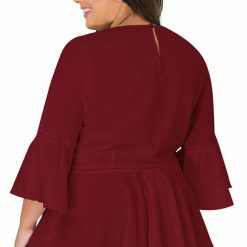 Long bell sleeved with a boxy silhouette. 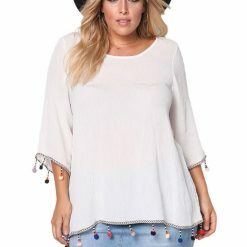 Looks perfect with tassel earrings, skinny jeans and ankle strap heels!